The Arts - Music, Drama, etc. 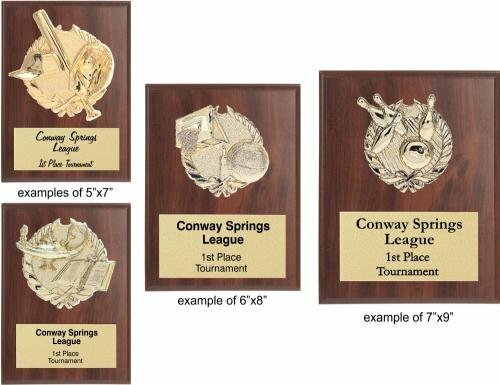 These value-priced plaques are the perfect choice for team sports, bowling or school awards. They offer recognition and thanks at a very reasonable price. 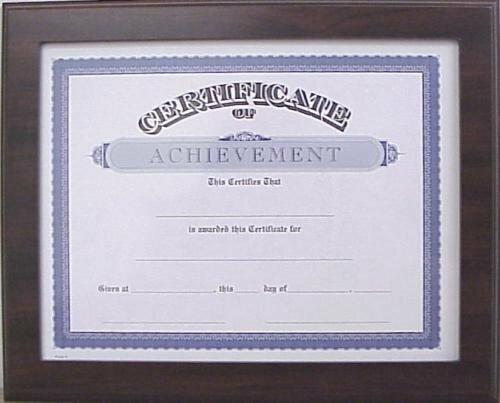 Certificate plaque is wood-look with beveled edges. 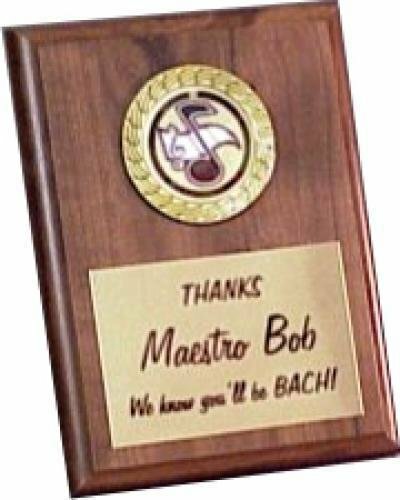 Holds your 8-1/2" x 11" certificate (sold separately) that slides in through a slot in the plaque's edge, which is protected with clear acrylic. Hangs either vertically or horizontally. The following production time is in business days (Mon-Fri). Weekends, holidays and shipping are additional. Customize this affordable wood-look plaque with your choice of raised graphic relief. Goldtone plate printed with your black text. Up to 20 words included. Included in price are 2 minor text changes per plaque, such as changing a name and title. 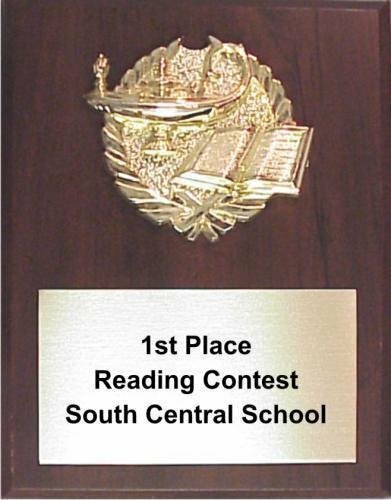 Sorry, no logos/graphics/special layouts/multiple fonts are available for these plaques. If any of those are needed, please choose a Printed Plaque or a Mid-Range Plaque. 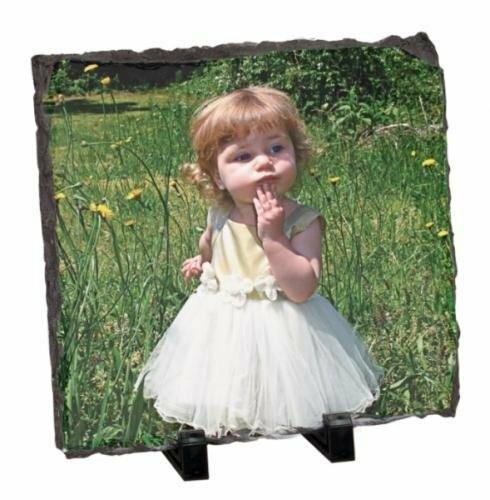 Our most affordable plaque - always in stock! 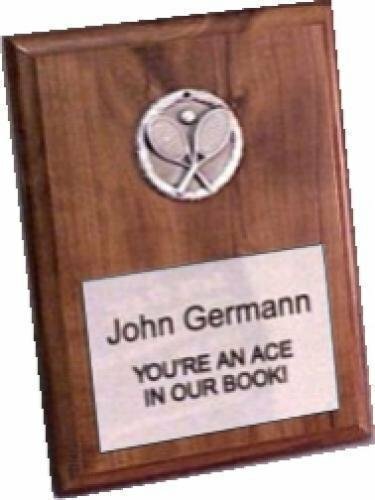 Wood-look plaque with 2" metal medallion. Included in price are 2 minor text changes per plaque, such as changing a name and a title. 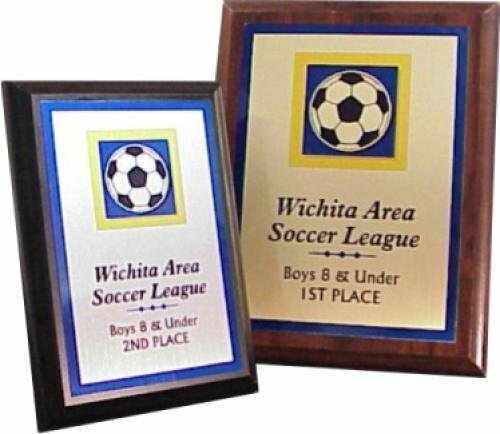 Wood-look plaque customized with your choice of 2" mylar inside a 2 3/4" gold border. 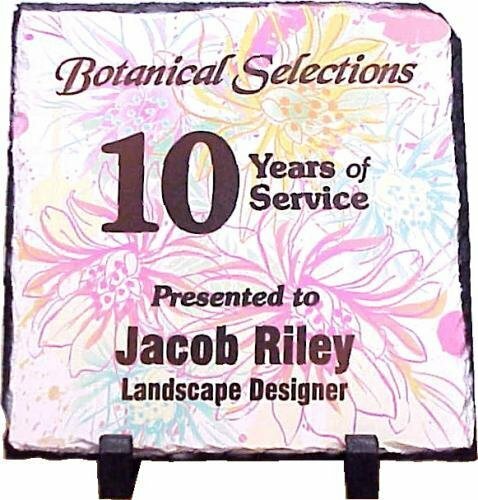 Our printed plaques include a full-color printed plate on a wood-look plaque board. An excellent choice for large volumes or when you need a pop of color. Multiple sizes available - 5"x7" to 9"x12"
Up to 16 words and one graphic included. A real stone slab, 3/8" thick, with black chipped edges. No two are exactly the same. Your graphic or photo, along with your text, is printed on the front. Includes two black "feet" for display. Individually boxed. 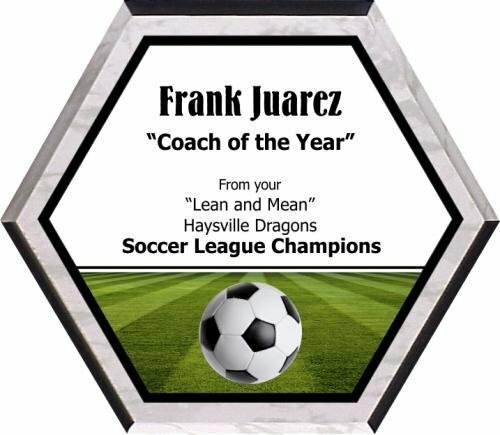 These printed hexagon shaped soccer plaques include a full-color printed plate on a white marble-look plaque board. You can use the soccer photo shown here, or supply your own. Production lead time for this product is 5 days. This product has a maximum order quantity of 12. Phone: (316) 265-2312 Toll-Free: (800) 898-2312 Fax: (316) 264-6660 Powered by BizWizard ShopKart by NetSoft Studio, LLC.